Promo items arriving this week! 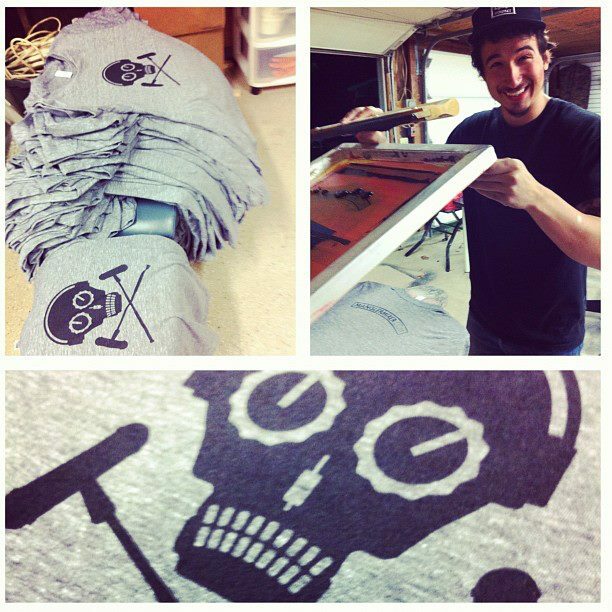 Fresh threads and sticky stickers will be arriving at Mangler Mixer world headquarters this week. If you’re at NAB next week in Vegas hit me up. I’ll have a small number of shirts and large bounty of stickers for the hand outs. I’ll get a paypal button setup shortly for shirts. I can only afford to give away a certain number as I’ve went baller status and had them printed on American Apparel tri-blend shirts in athletic grey. Shout out to my homies over at Mindsetgear for their screen printing skills and Contagious Graphics for their awesome sticker printing.